Add sugar with water & make a sugar syrup until 1 string. Remove from the fire & add cashew powder. Mix well. Grease ghee in a clean surface. Flatten it slowly without any cracks. Once it reaches the appropriate size cut it evenly. 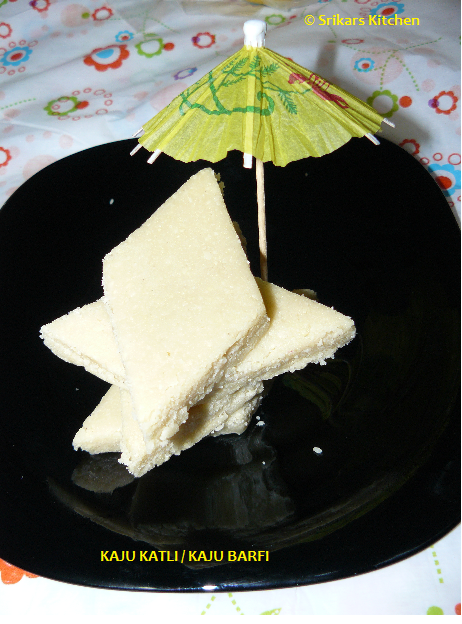 Yummy Burfi, Looks so inviting! Looks great.I see lot of bloggers making Kaju Katli for this Deepavali. Wish you a Happy Deepavali! Me and sugar syrup are not friendly! But I sure can take the risk for these cashew burfis! My all time fav! yummy burfi,there is hardly anyone who will not like this burfi dear..looks yummy..
this is a hit in the blogosphere, am going to try it soon.. 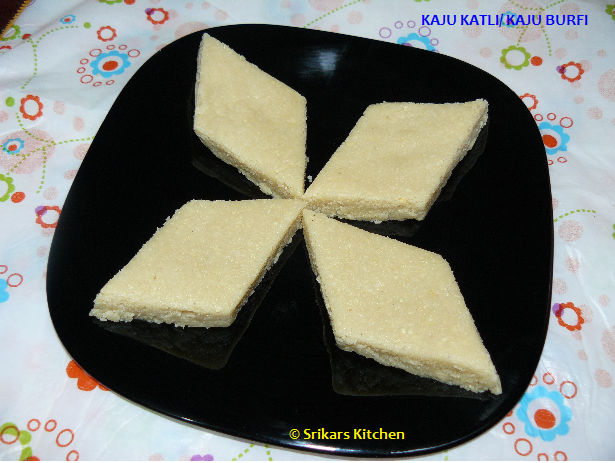 Such a rich and delicious burfi Sri!kalakuringa..
செய்முரை ரொம்ப ஈஸியா இருக்கு ஸ்ரீ.சூப்பராகவும் இருக்கு!! I love this, looks yummy.